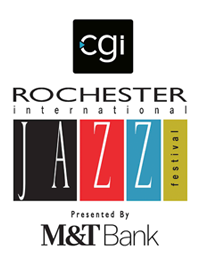 The Rochester Metropolitan Jazz Orchestra was established to foster the preservation, education, and celebration of music known as big band. The band performs favorites such as Count Basie and Duke Ellington as well as well-known standards sung by Ella Fitzgerald and Natalie Cole. Founded in 1998 with noted local jazz composer, Dave Rivello, the 19-piece orchestra continues to perform jazz in the tradition of the Count Basie Orchestra. The members of the Rochester Metropolitan Jazz Orchestra have been together for many years. In most cases, the members have been performing together since 1998. The orchestra has its roots well established in the Count Basie tradition. Of course, as with any group, musicians come and go, bringing their own personalities that influence the group as a whole. The band’s sound is the culmination of years of hard work and practice by each member. Surprisingly, the group is comprised largely of individuals who do not make a living with music. While there are a couple of ringers, the group is largely made up of professionals such as engineers, doctors, and businessmen who have a passion for music and performing with their peers. Had it not been for their first chosen career, perhaps some, if not all, would have pursued careers in music. It is our hope that our music will inspire others to keep the big band sound alive in this ever-changing and fast-paced world. Perhaps even take a moment to recall an era of music that has influenced the world of music that we know today.